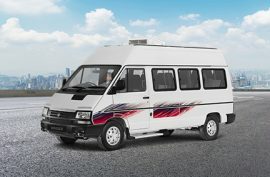 Taking the concept of mini-vans to the next level, the Tata Winger got introduced as a spacious passenger vehicle fitted with performance packed engines supporting varied applications. 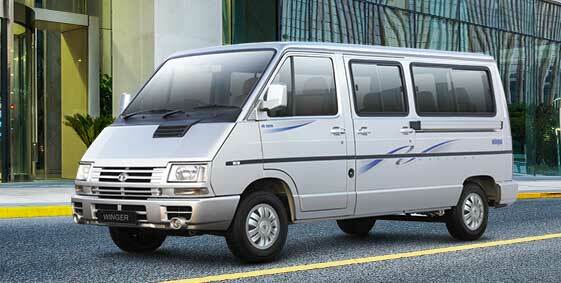 This vehicle is available in nine or thirteen seating options at an ex show room price of ₹ 7,00,000 - ₹ 7,56,365. 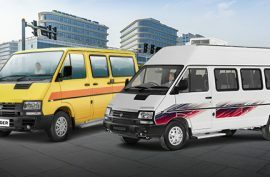 Tata Motors being an ace automobile manufacturer in the commercial vehicles category, has bestowed the Winger van with high-end technical specifications and comfort features that are sure to excite buyers. Wingers can be customized differently for accommodating more passengers as desired. Well-Designed Exteriors: Designed with an attractive physical appearance of length 4920mm and width of 1905mm. 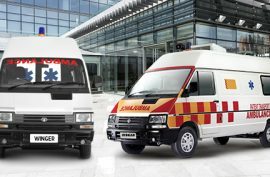 It features motorized clear lens headlight equipped with powerful halogen lamps, side turn indicators, and wide black colored bumper with a large air intake section for cooling the engine. Comfortable Interiors: Beautifully decorated with dual color tones. 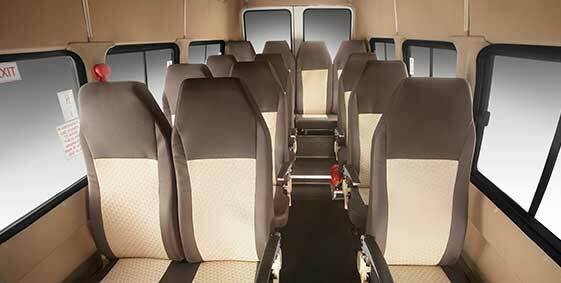 Seating is comfortable with adjustable cushioned seats and head rest. The rear seats are foldable making space for additional luggage. The cabin also has various utility spaces such as cup holders, ash tray, storage pockets, magazine holder and glove box for passenger convenience. Economy and Performance: Powered with 2.0litre of diesel engine integrated with three cylinders and twelve valves using double overhead camshaft based valve configuration. This turbocharged inter cooler power plant throws out a maximum power of 90bhp at 4300rpm in combination with a commanding torque output of 190Nm between 2000 and 3000rpm. Acceleration and Mileage: The top speed of the Winger is 100km/hr, which is a good rate for such a massive vehicle. Moreover, it can accelerate from 0 to 100 Kmph in nearly 19 to 20 seconds. The engine has the ability to generate a maximum mileage of 10.71 kmpl on the bigger roads. Braking System: An efficient braking mechanism assisted with hydraulic service brakes along with a reliable suspension system that keeps the vehicle balanced and under control. Safety: Fixed with a range of safety features such as child safety locks, instrument panel for warning signals, door open indicator, hazard warning switch, and low fuel consumption display, are some of the highlights in the vehicle that give it an edge. 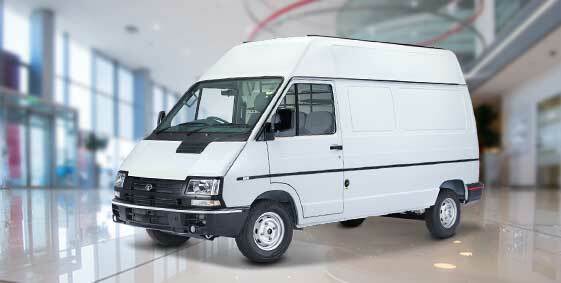 The Tata Winger is available with a standard warranty of three years or three lakh kms, whichever comes first. Buyers can further extend the warranty program for one or two years at an additional cost paid to authorized dealer.